Easily separate egg yolk from whites using this brilliantly simple kitchen solution. 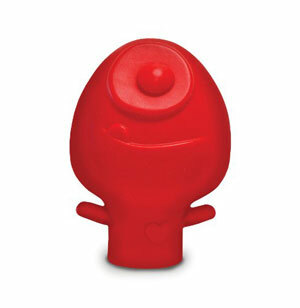 The Mighty Yolk Hero Egg Separator suctions the yolk out of the egg with one squeeze and releases it again with another squeeze. This handy gadget holds up to three yolks at once for quick and easy cooking. Now you can enjoy egg-white omelets and flawless meringue without the mess. Plus, it's dishwasher safe to make cleanup even more of a cinch. Faster and easier than traditional separators. Ideal for recipes that call for just egg yolks or egg whites. A mess-free way to separate egg whites and yolks. Holds up to 3 yolks at one time.